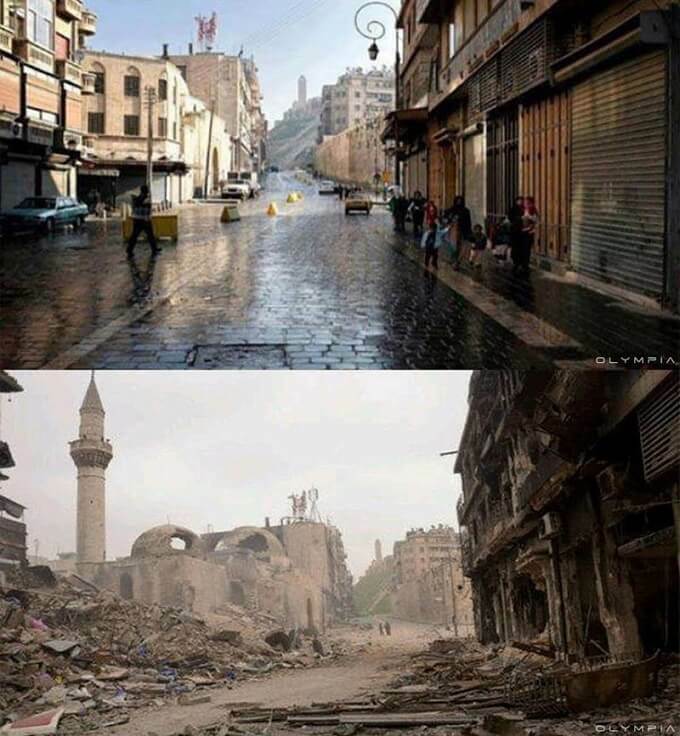 Once Syria's largest city, Aleppo has been the worst-hit city in the country since the Battle of Aleppo began in 2012 as part of the ongoing Syrian Civil War. 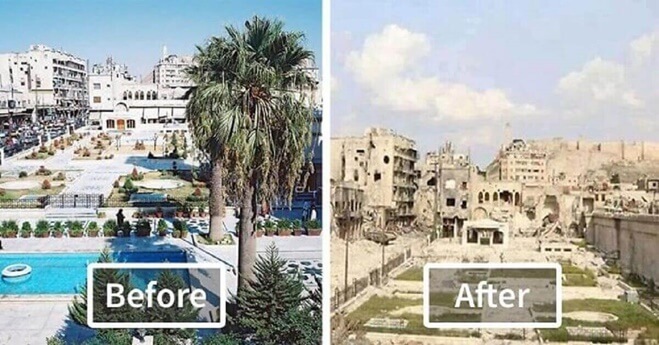 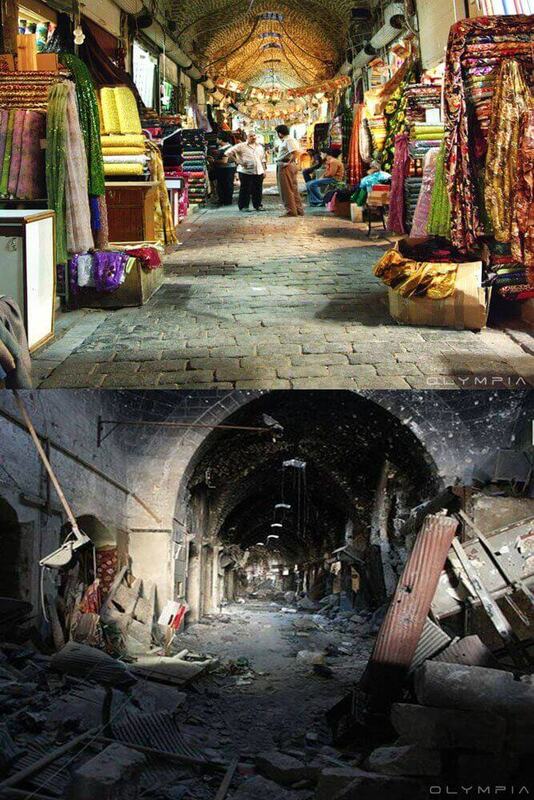 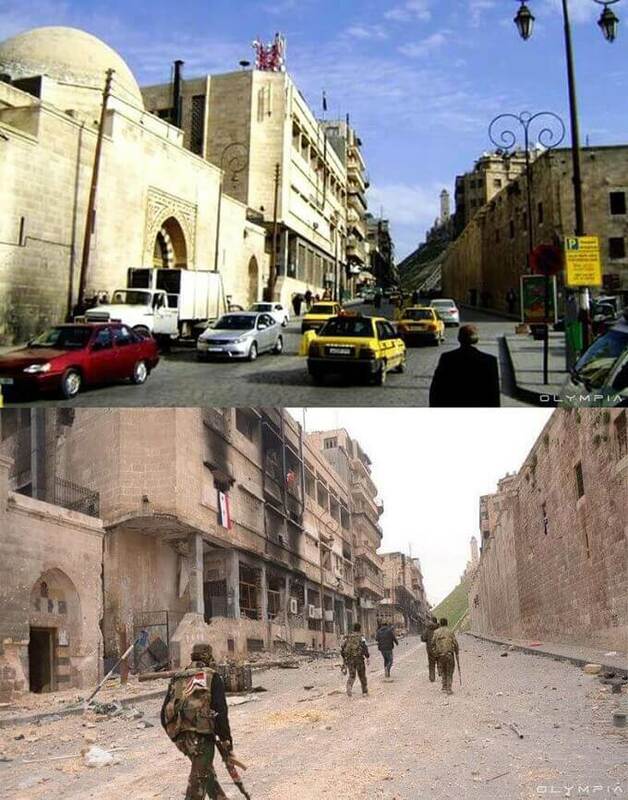 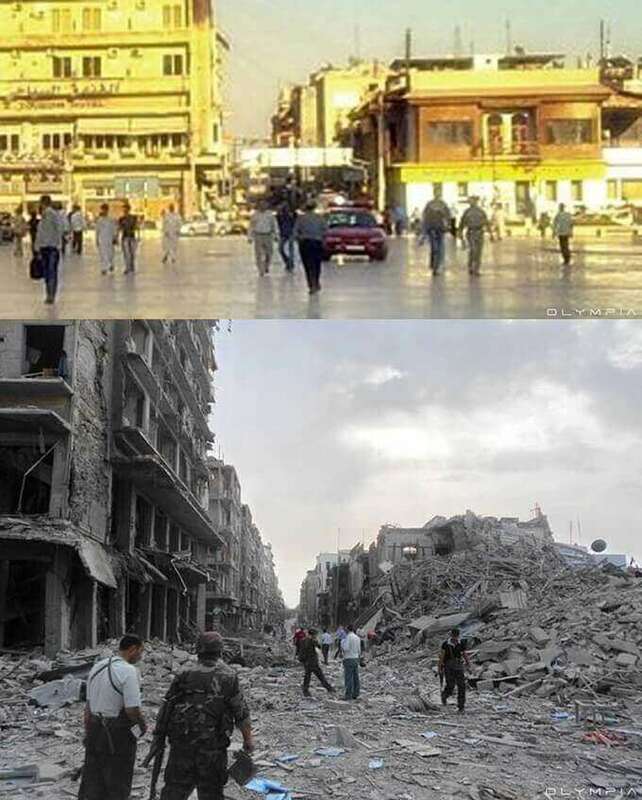 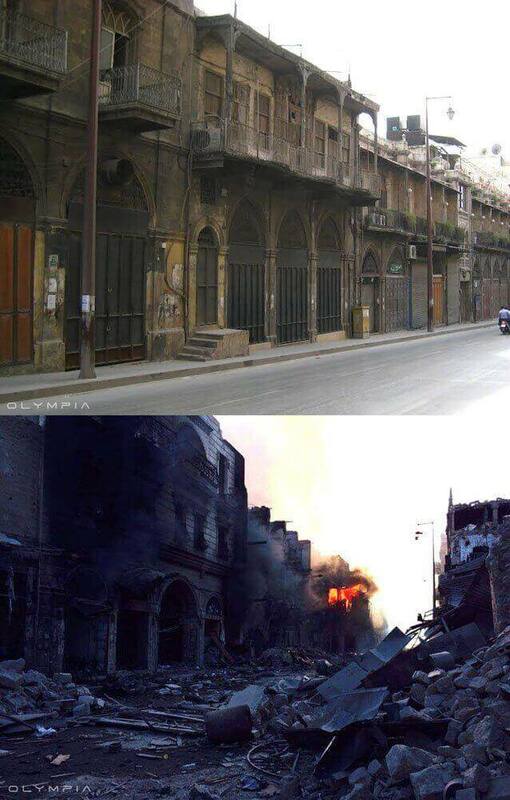 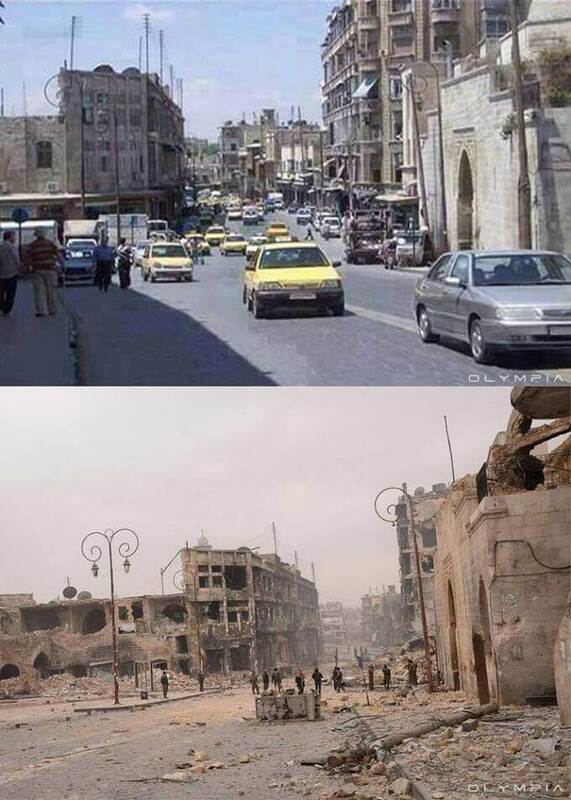 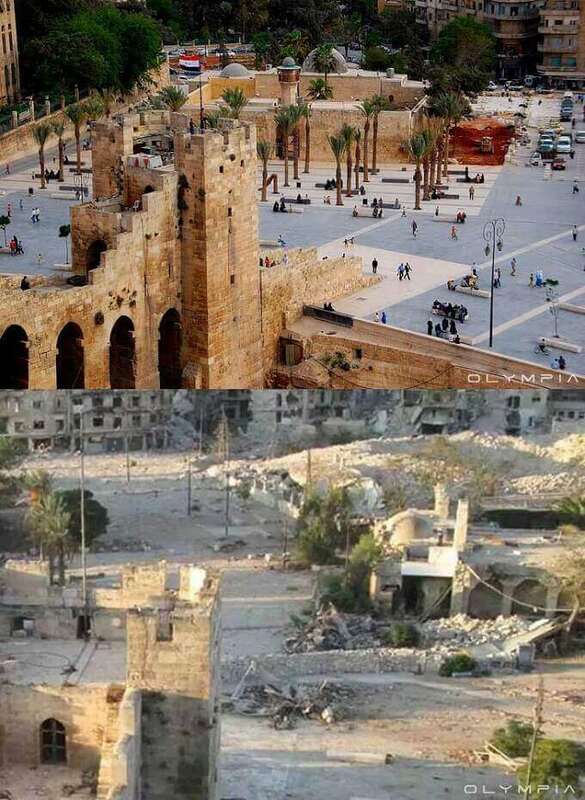 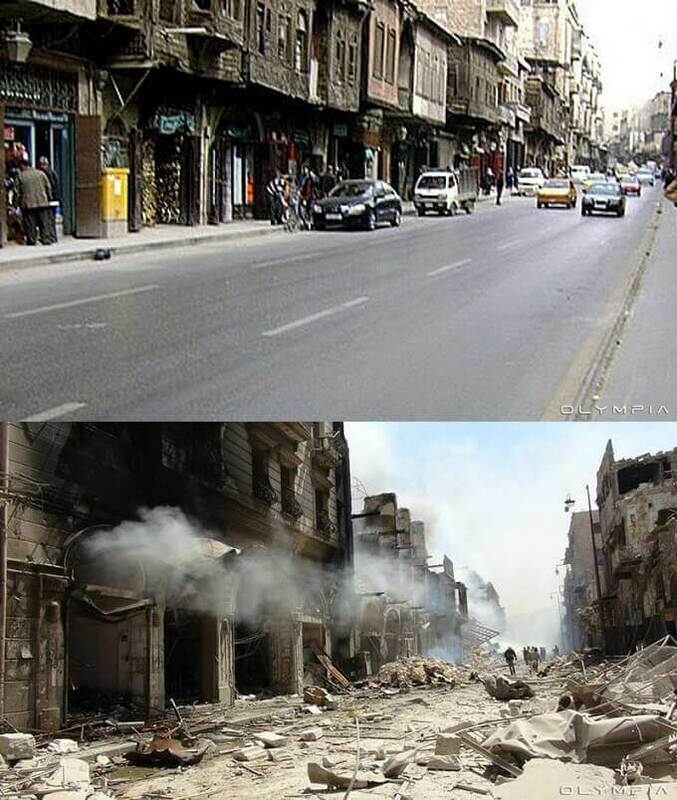 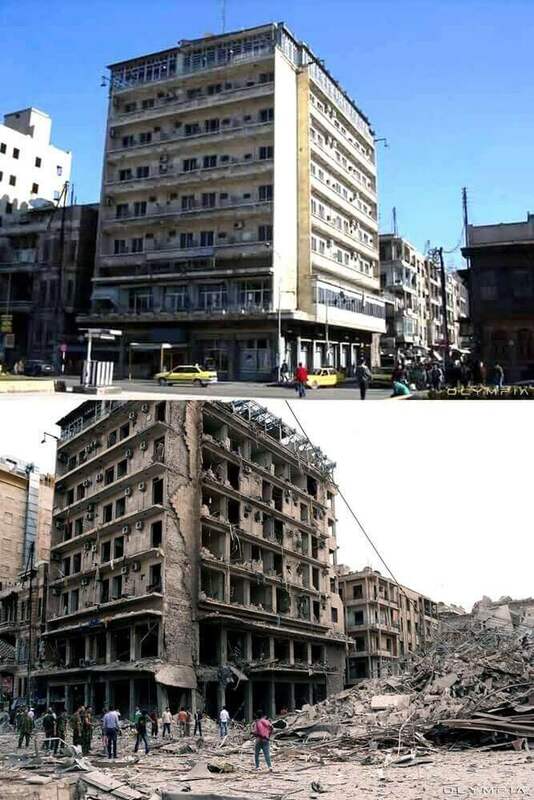 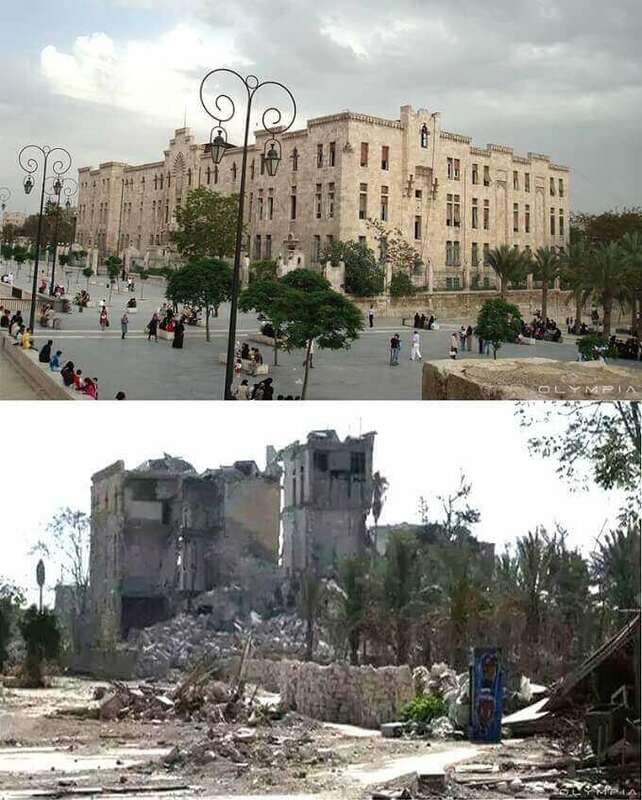 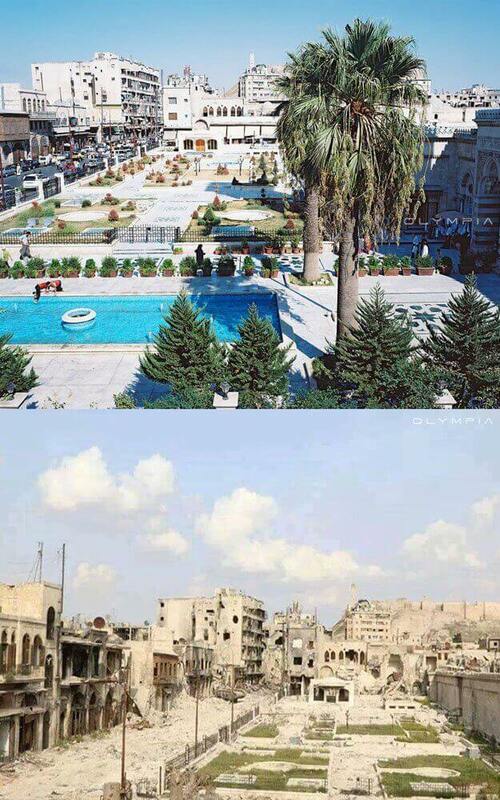 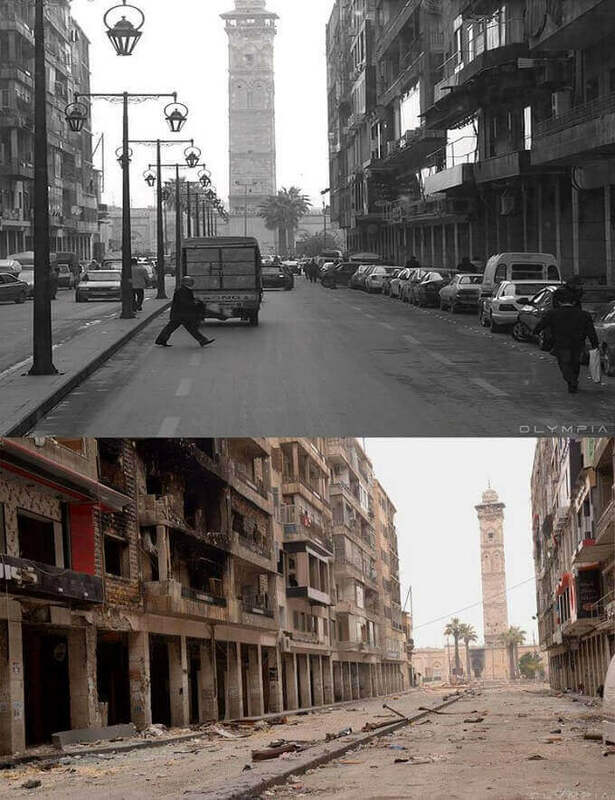 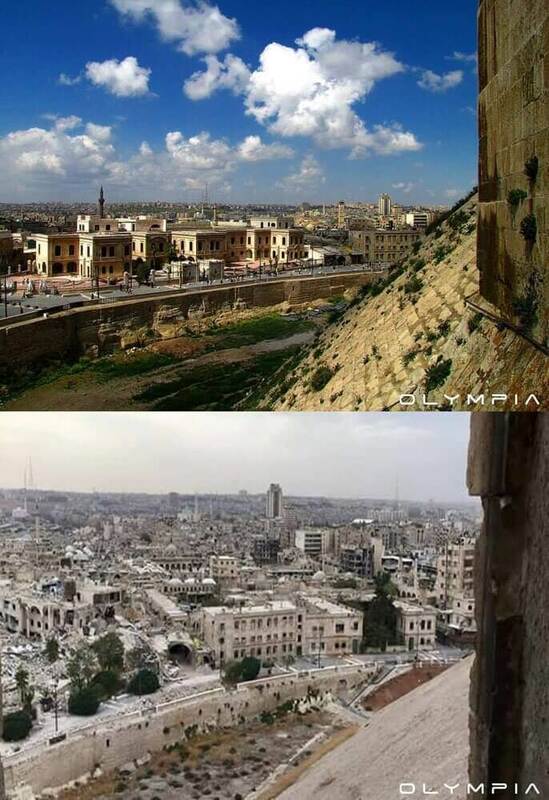 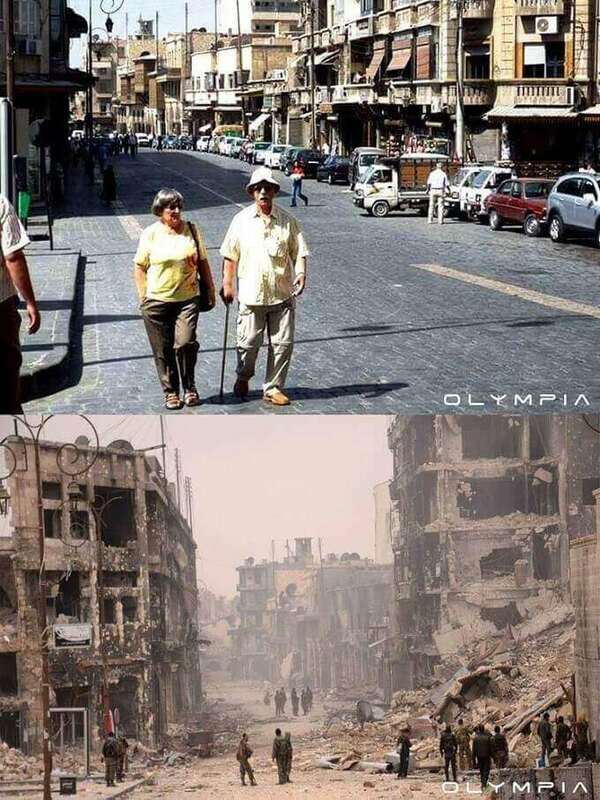 Now a series of before-and-after photos reveals just how much the once-vibrant historical city has been marred by war. 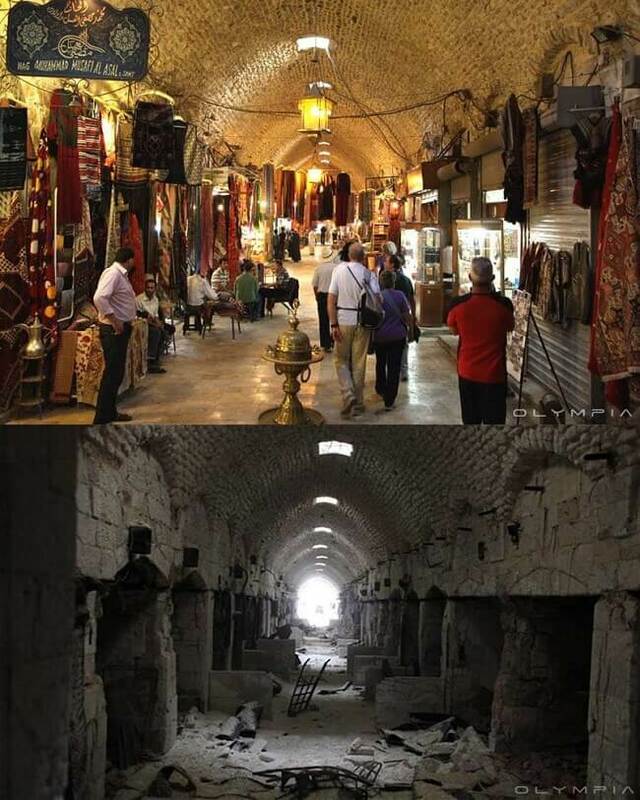 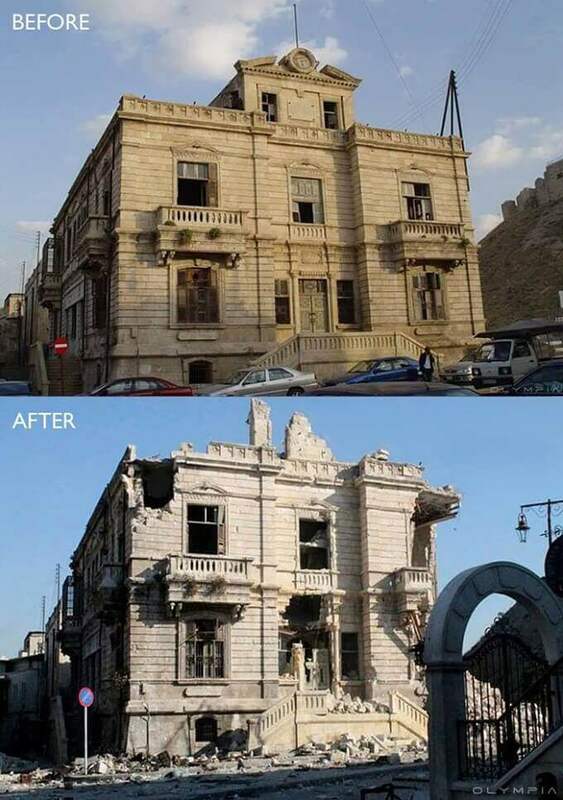 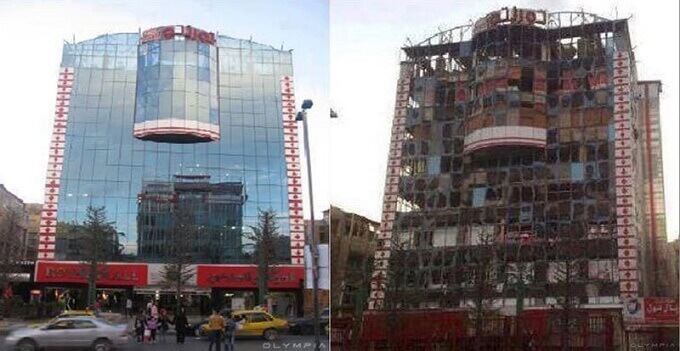 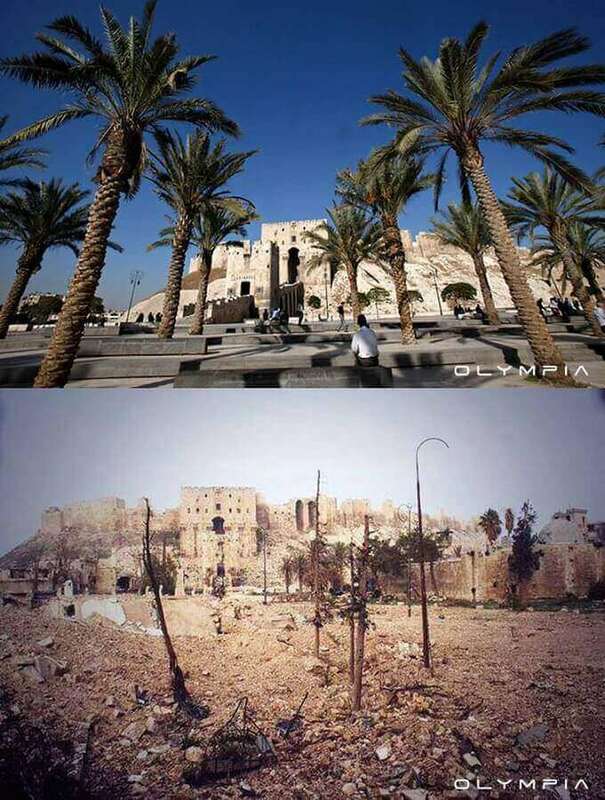 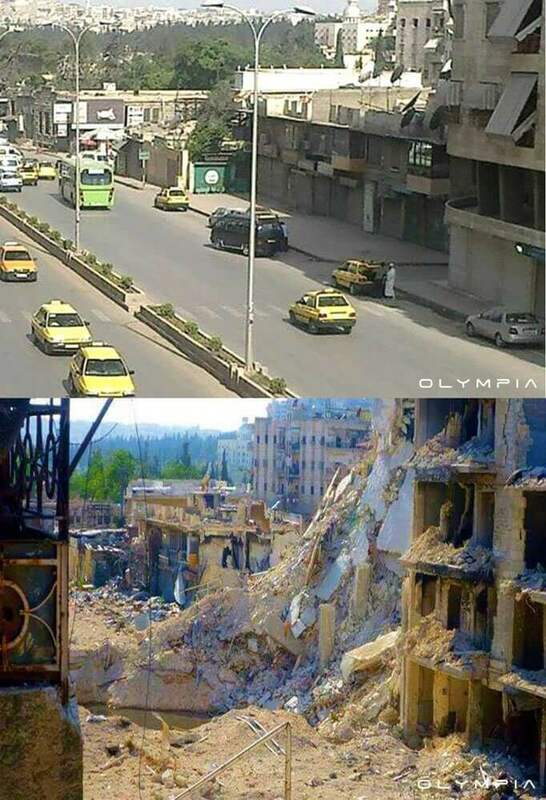 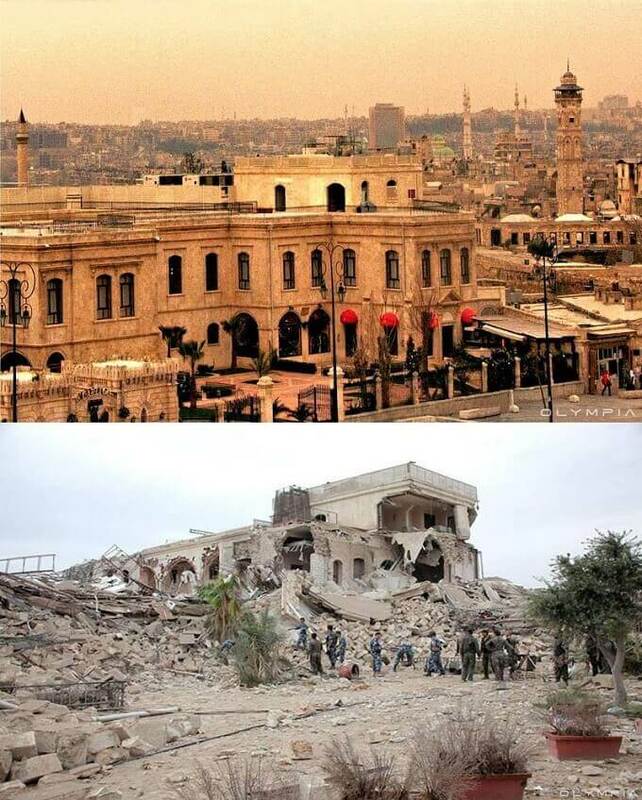 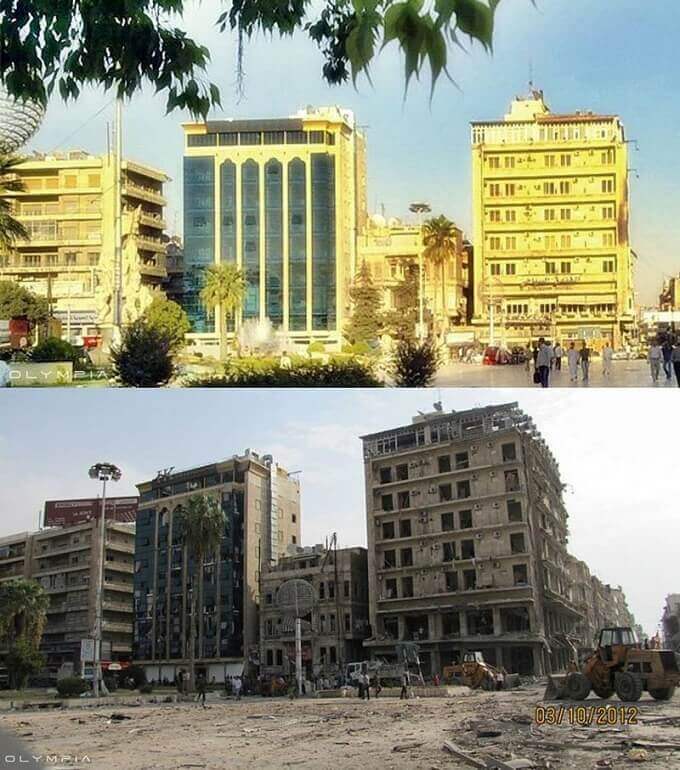 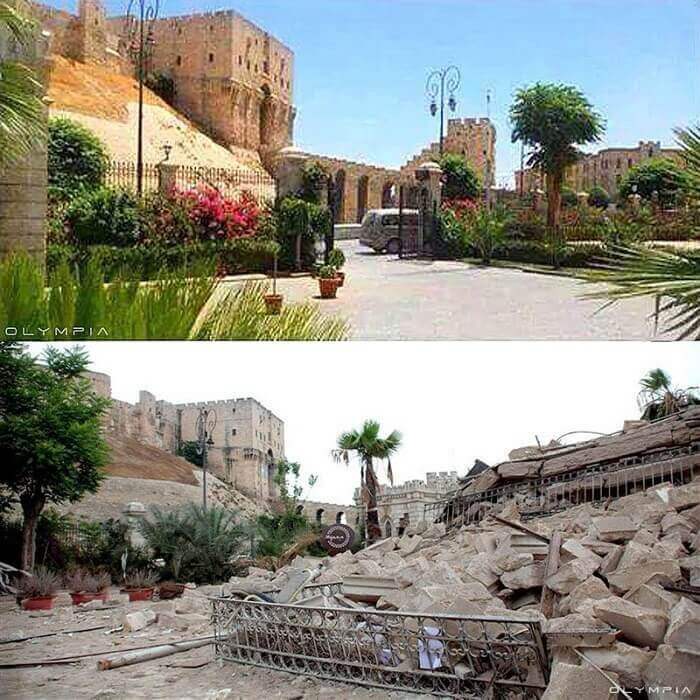 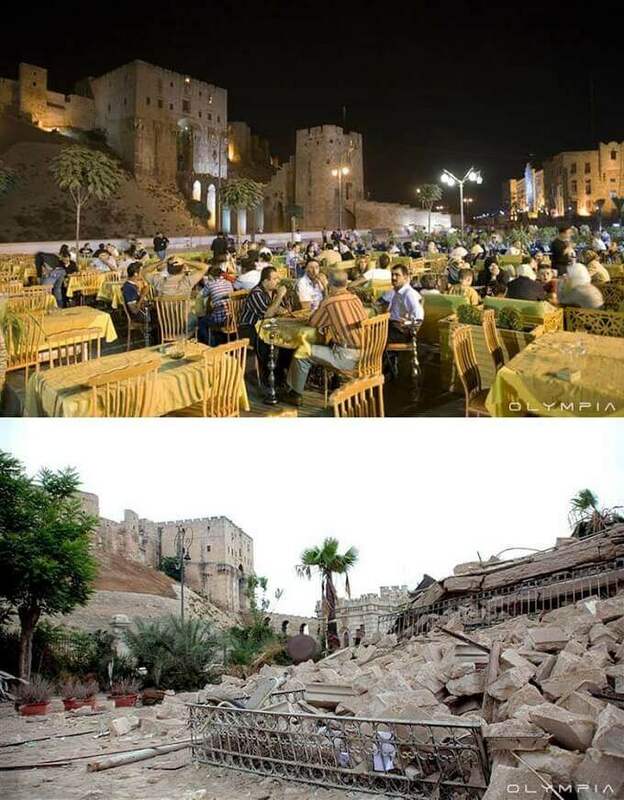 Olympia Restaurant, which calls Aleppo home, has published old photos of Aleppo alongside newer photos captured in the same locations after the war began. 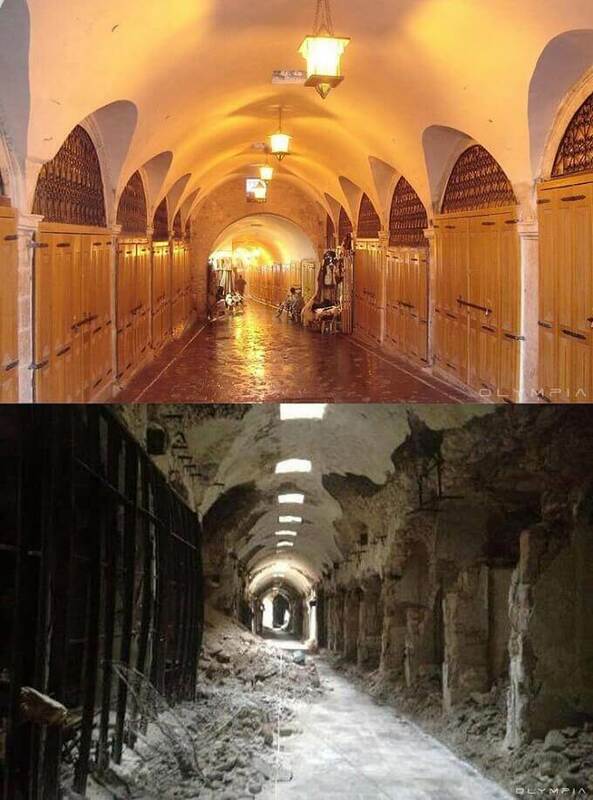 Ancient locations that are categorized as a World Heritage Site by UNESCO have been reduced to rubble through looting, burning, and destruction.